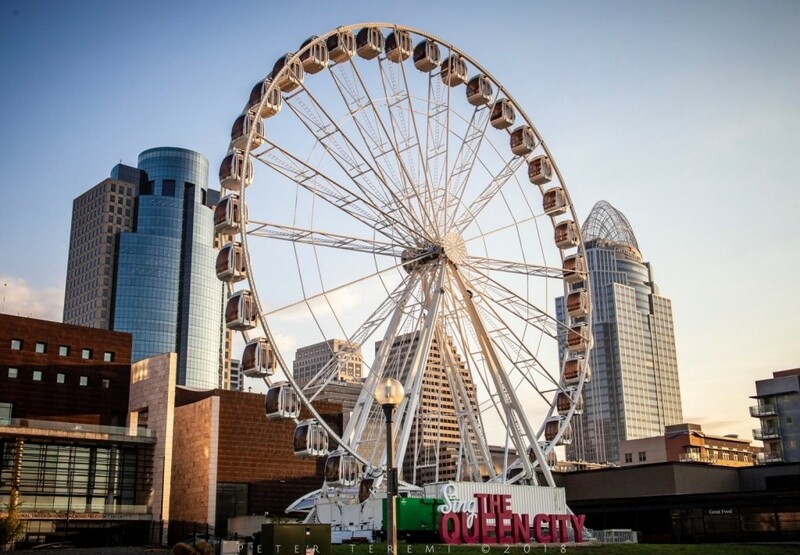 If you’ve visited Downtown Cincinnati recently, you may have noticed a 150 foot SkyStar Ferris Wheel lit up like a Christmas tree, down at the Banks. Operating August 31st through December 2nd, it is America’s largest portable observation wheel, with over 1 million LED lights. (Images of Dr Evil’s raised pinky come to mind.) Pictured here at rest, bathing in the first rays of dawn, this beauty was featured prominently in NFL’s coverage of the Bangles/Ravins game Thursday night. Murphy seemed less than impressed. Oh well, Schnauzer’s got’a Schnauz! Wishing you Murphy-Cam’ers a great day, from the Murphy-Cam Project!